Federal regulators said they will try again to test prototypes on Jan. 24 for transmitting high-speed Internet service over unused television airwaves. 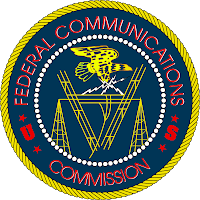 Late Thursday, the Federal Communications Commission said the devices — developed by Adaptrum Inc., Microsoft Corp., Motorola Inc. and Philips Electronics North America Corp. — will be tested in laboratory and real-world conditions. The agency said testing will take three months and issue a report about six weeks after the testing ends. Last year, a high-technology coalition — which includes Microsoft, Philips, a division of Netherlands-based Royal Philips Electronics NV, Google Inc., Dell Inc., Hewlett-Packard Co., Intel Corp. and EarthLink Inc. — submitted prototypes they said could transmit broadband Internet service over unlicensed and unused TV spectrum, known as "white spaces." The coalition — which does not include Motorola and Adaptrum, a Mountain View, Calif.-based startup — says using white spaces could make Internet service more accessible and affordable, especially in rural areas. However, television broadcasters and the wireless microphone industry say such devices could interfere with programming. Initial prototype testing failed. In July, the FCC gave a failing grade to Microsoft's prototypes, saying the devices did not reliably detect and avoid TV programming signals and could have caused interference. Two weeks later, though, the agency said one of the Microsoft-built devices was broken, accounting for the failed results. A duplicate Microsoft device sent to the FCC was never tested. At the time, the coalition also said a second prototype Philips developed was able to detect TV and wireless microphone signals, but only in a laboratory setting. If the tests are successful this time and the devices are approved, the coalition plans to introduce commercial devices for sale after the digital television transition in February 2009. "It seems to me this timeline is reasonable and could lead to a final decision by the end of the June," - said Scott Blake Harris, who represents the coalition.